Hi all. This is my first post here. I have read through the forum in the hope of finding an answer. 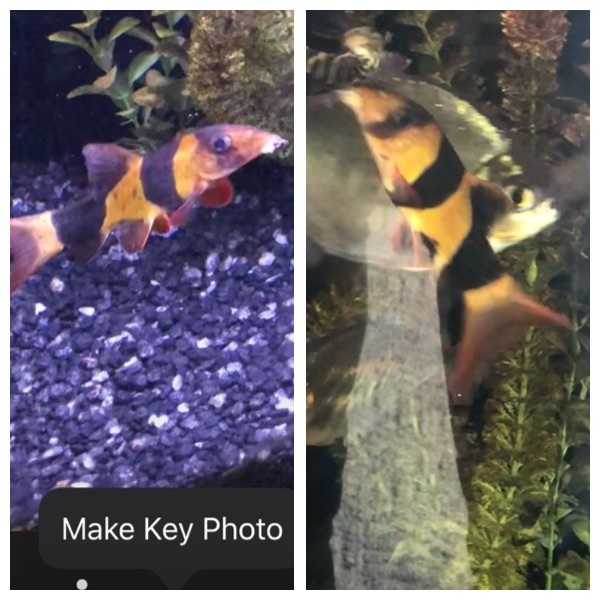 I have 3 clown loaches, I have had them for approx 2 years with no real problems apart from a mild case of ich about a year ago which was treated successfully. I have just noticed this weekend that one of my loaches is very skinny so am suspecting possible internal parasites. I feel pretty bad not having noticed this up till now but I often don’t see them all for days so missed the progression of weight loss. I have always fed them a mixture of courgette, frozen blood worm and brine shrimp with garlic. Catfish pellets, algae wafers and have even resorted to mango today as I read that clowns can like them. My other two clowns have gone in all guns blazing wolfing down as much as they can but my little skinny loach searches for the food, sometimes will take some but will promptly spit it out. I do notice that the healthy clowns appear to barge him out of the way but even when he is by the food on his own he still isn’t taking any. So my questions are.....I haven’t introduced any new fish to the tank for over a year so wonder what the likelihood of it actually being worms are..could they be only affecting my fish at this point or am I totally off with what may be wrong with him. This is a before and after pic of my clown. Thanks to Nancy D and LoachLoach they directed me to a product called Kusuri Dewormer. For some people Levamisole works. I tried medicated food infused with Levamisole and another with Metronidazole. The Kusuri dewormer is what worked for my clown. I have similar loaches that is skinny like that. they seem sicks and do not school together. Did you take them out and treat them in quarantine or do you treat the whole tank? Have you also tried white bait or pilchards? How long has it not been eating for? To Joietan. I treated entire tank. The skinny Loach still continued to eat the entire time, Michael Tew. As of today the skinny clown is no longer skinny still it has recovered and holding steady for at least a month now. The fish are going to be rehomed in a new larger aquarium I’m in the process of setting up. I hope this move doesn’t trigger a relapse.